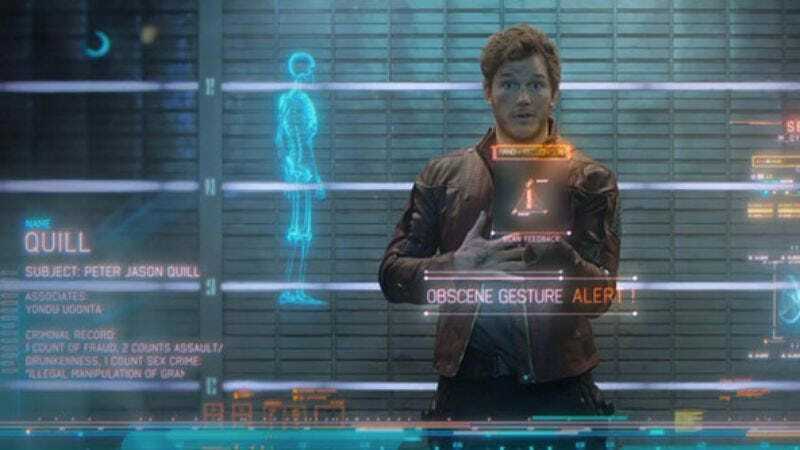 Offering a glimpse into the future of moviegoing, as well as a lot of kids’ disappointing Christmases this year, Regal theatergoers in New Jersey and Virginia who were hoping to see Guardians Of The Galaxy last Thursday were given Rise Of The Guardians instead—a mix-up that can be easily forgiven, because Regal is getting older, and it’s the thought that counts. However, many of these theatergoers apparently never learned that: “Major expletives” flew in Virginia, The Hollywood Reporter says, as the theater repeatedly showed a 15-minute block of previews three times, only to be followed each time by the opening of the 2012 animated film, Rise Of The Guardians. After nearly 90 minutes of this, patrons finally gave up and joined the long line to demand a refund, where, presumably, even more colorful expletives flew. THR says “this story has a happy ending,” noting that everyone received tickets to a Friday night screening and a free poster of the movie they hadn’t seen yet. THR has a somewhat broad definition of what constitutes a “happy ending,” but the important thing is, no one was shot. According to Cinema Blend, the mix-up was likely due to the fact that some Regal theaters have been showing Rise Of The Guardians at family matinees, and the digital file was labeled simply as “Guardians.” So, when Guardians Of The Galaxy arrived, everyone just assumed it was already on the server, and they never bothered uploading the correct file. As we learned earlier this year, this is the exciting future of moviegoing.